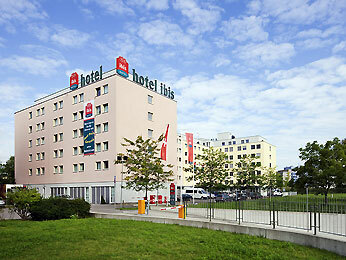 The ibis Zurich Messe Airport is just a 10 minute walk from the Hallenstadion and Zurich exhibition center. A free shuttle bus service for hotel guests is available to and from the airport. The renovated hotel boasts 252 comfortable rooms with an air-cooling system, a contemporary restaurant, three meeting rooms and a private car park (charges apply). Wi-Fi access is available free of charge. Our bar is open 24 hours a day and our staff will serve you drinks and snacks with a smile.